With the National starting in 3 weeks, I thought it would be fun and insightful to interview Alasdair about his preparation process, advice to open handlers and some secrets to his success! Patricia: You’ve won the US National a remarkable 12 times with 6 very different types of dog. Do have a single formula for how you prepare them? Alasdair: In general, yes. 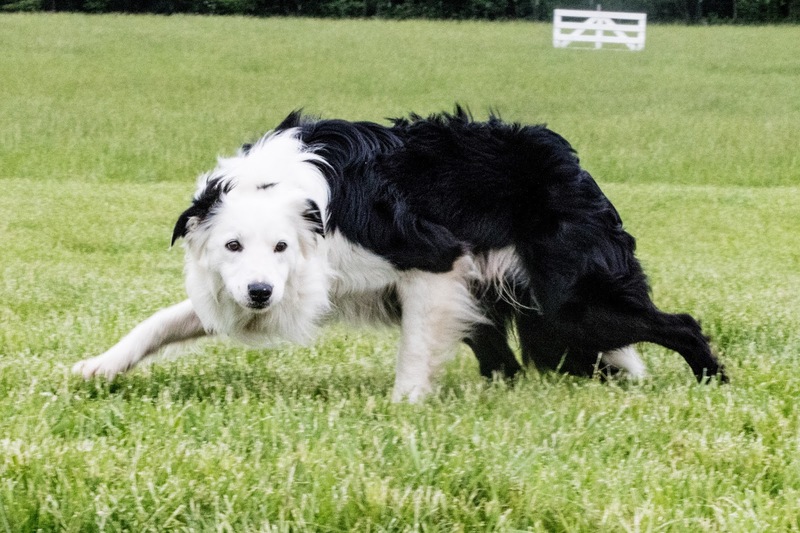 All my dogs are trained in the same system or method, with an emphasis on balance point. I first cultivate my dogs enthusiasm and enjoyment for working and it’s only later in their development that I focus on their width, pace, shape of flanks etc. Within the system there is always room for addressing the individual dog, such as those with eye, sensitive dogs, etc. but the fundamental premiss of fostering a dogs desire and enjoyment for work is the same and it allows me to help them be the best dog they can be. They are all similar in this respect. Patricia: Would you outline your timeline for preparing and a bit about your process? Alasdair: I generally begin preparation about 90 days in advance and the first part is backing off training of my Open dogs and not putting my dogs in situations that demand precision but instead, getting them to relax in their work. This includes leaving them to work on their own quite a bit as well as doing chores such as putting the sheep through the foot bath, weaning the lambs, etc. I also start running them to keep them fit. If I do trial during this time I don’t get too disappointed if they don’t run as well as I’d ideally like, as I have not prepared them. This ‘fitness’ period lasts until 6 weeks prior to the Finals and includes double-lift work. Patricia: What exactly, what do you mean by ‘double-lift work’? Alasdair: I set up situations at home to make certain both dogs are competent turning back to the left & to the right. I am especially working on it with Tod this year (owned by Andrea Anderson). For my own dogs, I introduce the foundation for the turnback when they are young and eager to learn fun, new things. I perfect their skill as they mature. Preparation is paramount. As you know yourself, for the big time as well as Saturday trials, they may not be won on the training field, but they can be lost there. Patricia: To that end, do you also practice the international shed? Alasdair: Shedding out our lambs from the ewes or shedding out our training sheep from the flock suffices for the dogs I am running just now but if I didn’t have chores, I would certainly practice a little. Patricia: How do you alter your preparation from the 6 week mark going forward until the start of the National? Alasdair: From 6 weeks-3 weeks out, I go back & make certain stops are in place, call on pace & square flanks if necessary, shedding, penning and focus on the ‘control’ side of things a bit. I keep up with a reasonable amount of fitness during this time, mostly running. In years past, from 3-2 weeks out, I like to get in one or two trials and begin to let the natural dog come more into play. This year is different in that I haven't been able to travel due to back issues. Im hopeful I’ll be able to make the trip to VA and I am preparing as much as my back allows, but it may not be in the cards this year. One week prior to the start of the National I like 5 days on good sheep to work on any training problems. Patricia: When you set up the time line, how do you adjust for travel days? Alasdair: That is one of the big problems when traveling for more than 2 days; you need access to reasonable sheep. 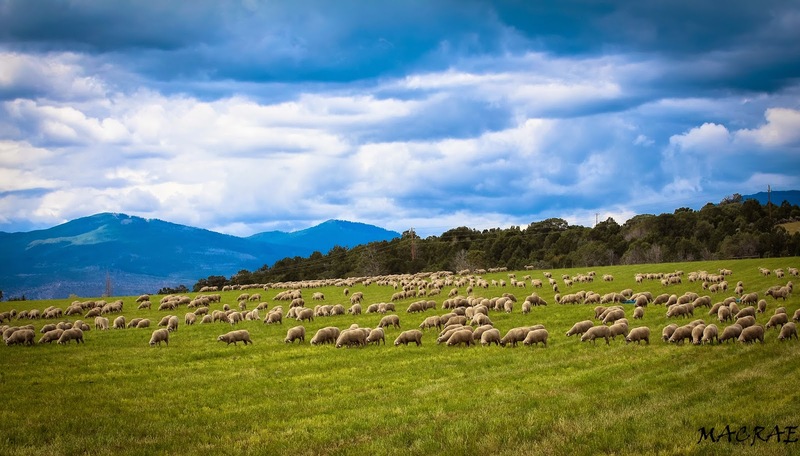 If the sheep are not suitable, you may be better off not training as it may cause more harm than good. Patricia: Knowing how the sheep vary so dramatically from California to Colorado to Virginia, do you adjust your training to suit the sheep? Alasdair: I feel that if my dogs are running well & listening well, that we will be competitive, provided the sheep are reasonable. For a trial like the Bluegrass, where a natural fetching dog does better than a micromanaged dog, I can & do prepare specifically for the sheep. For the National, it is more difficult as they sheep vary quite a bit. In 1997 & 2001 the sheep in Oregon were what I consider, light to wild in the qualifying rounds but in 2006 & 21012, the sheep there were heavier and more determined. In Virginia in 1999 the sheep were extremely heavy as they were part of a grazing project yet in 2013 there weren't as heavy, however, there was a significant draw to the night pen which made them pull to the left hand side of the field on the fetch and on the left hand drive, which was testing. Rather than preparing for specific sheep, I focus on preparing my dogs to run different styles. This gives me the option of running stop & flank, running a more natural ongoing style or a running with controlled pace. The ability to adjust styles allows me to adapt the specific sheep I draw and gives me my best chance of making it through the qualifying round. Patricia: You were specific that the outlined preparation was for your Open dogs. What do you do to prepare your Nursery dogs? Alasdair: I don’t have a formula for preparing my Nursery dogs as I don’t believe in putting too much on them too young. Young dogs are all so different in their development. I especially do not make them walk or square flank as it affects their future training and longevity. I usually run my young dogs flank & stop and don’t start putting polish on them until their 3rd year. The best dog I have had, Nan, could hardly get around a moderate size course as a Nursery dog yet, won the Supreme International as a 3 year old. The dogs that I have won the Nursery Finals with were early to mature. For the Nursery, I take the dog along at the speed that is best for him or her and put my own ambitions aside. ‘Nursery’, as the name suggests, is an environment that develops & fosters, be it children, trees or young dogs. It is not where a handler should finalize training but instead where the foundation should be laid. Patricia: What advice would give to someone participating in their first National? Alasdair: Don’t try to win the qualifying! Try to make all of your panels and get finished in a reasonably tidy fashion. 40th place will get you through to the next round in exactly the same position as 1st . Patricia: This will be the 19th National you have competed in and you have won it 12 times, do you still get nervous at the post? Alasdair: Yes, I still get nervous, as I do at most Saturday trials but only a little more so. I think nerves heighten concentration which helps me perform at my best. I’ve always thought if a handler is not nervous, it doesn’t mean as much to them. Patricia: Having done this for so many years, what does the National mean to you? 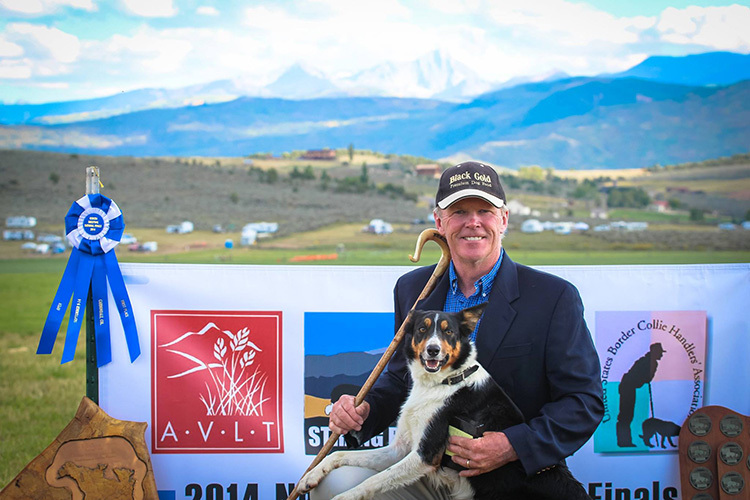 Alasdair: The National is the largest and most important sheepdog trial in North America and the pinnacle of each trial season. You are placed in a pressure situation competing against the very top handlers and if you are fortunate enough to make it through to the Final, and shut the pen gate on the 5 ribboned sheep, for a few seconds, it feels as though you are floating on air………. Giving Alasdair’s induction speech into the ABCA Hall of Fame was a great honor and privilege. Several people asked me to share it and although I haven't blogged in ages, I thought it would be the easiest way to publish. 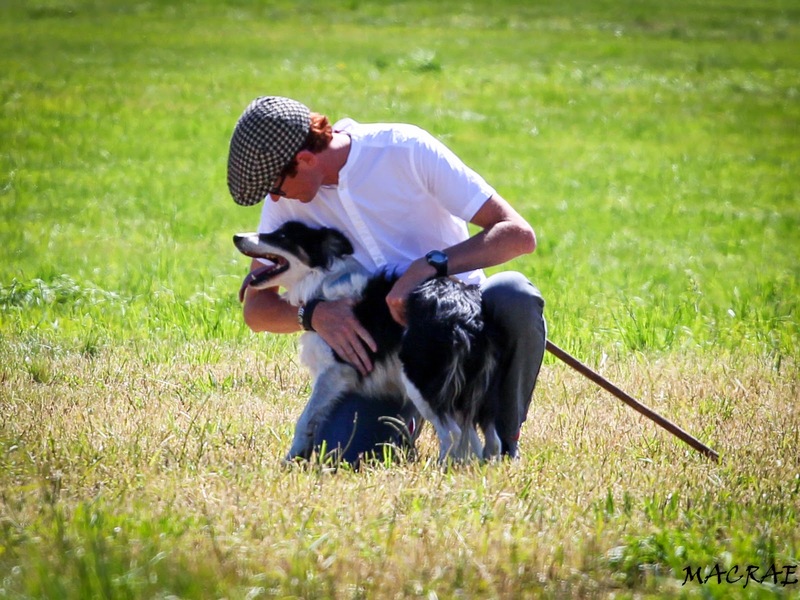 While Alasdair is far and away the most accomplished handler on the continent, I wanted to focus on his contribution of service, especially to the working Border Collie. We have been richly blessed with amazing and wonderful dogs in our lives. Honoring the breed is extremely important to him. Thank you to all those on the HOF committee especially the chairman, Mike Hanley, who could not be with us last week. "When Alasdair asked me to do his induction speech I was quite nervous. I’ve never given a speech of this nature and I wanted to do a good job. I thought, who do I know that is an exceptionally eloquent orator; a master of word play and story telling. One who can wax lyrical on any given topic. Not really mixing in those circles I thought, who has something to say about everything and is a good BS-er. Of course, Mike Neary came to mind. So I called my friend Mike to get some advice as he has done this a few times. 2. read from notes! so you don't forget anything. 3. and above all, he said, take your time…. as long as it is no more than 8 minutes. • Significant accomplishments as a breeder. • Significant achievements as a handler. 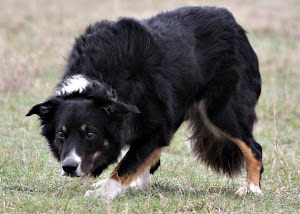 • Service that has helped breeders, handlers, the working Border Collie the ABCA ‘and other more intangible service’ . Regarding the ABCA’s final criteria of induction , I cannot think of a better example of ‘other more intangible service’ than Alasdair's contribution of single handedly raising the standard of sheepdog trials in the United States. This is not my opinion but rather the most consistent sentiment shared from every top competitor I have spoken with about Alasdair’s impact. I was not running dogs when Alasdair came across so I spoke with many who were. When Alasdair walked to post with Nan and Ben in 1995, our sport was forever altered. He brought finesse, precision, method, exactness, consistency, mental fortitude and a level of excellence never before seen at North American sheepdog trials. His performance elevated the expectation and he created a higher standard across the entire country and throughout Canada. To compete with him, every handler had to improve, in every facet of work. He inspired us to do better, to be better and then he shared his knowledge with us. Directly, by providing clinics, lessons, training DVD’s and on-line training. And indirectly, leading by example every time he competes- his technical expertise as well as conducting himself with professionalism and integrity. As every one of us walks to the post today our handling and training has been impacted for the better by Alasdair’s significant contributions. Many years ago, at the request of the then president Mike Canaday, Alasdair authored the first draft of the the ‘USBCHA Guidelines for Judging’. He did not make this public knowledge as he wanted everyone to be pulling in the same direction. He based the style on the Texas and Alberta rules that were already in existence , altering and expanding them to comprehensively cover this extraordinary sport with it’s differing viewpoints and inherent gray area’s. While there were changes made to the final draft by the directors that he disagreed with, he actively encourages every judge and handler to abide by them or impact change by going thru the correct channels. In 2002, he intervened when the Bluegrass committee said that they couldn't take over the Nashville National finals on short notice. The public park outside of Nashville that was supposed to hold the event wouldn't comply with the conditions set by the USBCHA committee.They told then president Mike Canaday that they’d have to cancel the National. At the President’s request Alasdair drove from Virginia to Nashville to meet with the local committee chair and representatives from the public park., He initiated a compromise that allowed TN to host and that October the 2002 National was a success. He Headed up the committee to come up with a formula for the handlers to qualify for the world trial. For the 2nd World trial he negotiated with the ISDS and other participating country’s to increase number of participant slots from 12 to 30 for the US. Many of us in this room use a fiberglass stick when training our dogs. What you may not know is that in 1995 Alasdair recognized the advantages of the light fiberglass stick as a training aid after borrowing one from a novice handler at a clinic. 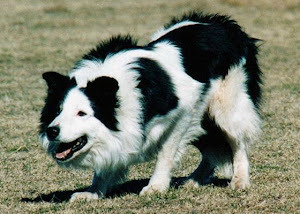 He then carried an inventory of them around the country and supplied retailers like Border Collies in Action with them until most kennels had at least one and their continued use has been of benefit to many. He put on a trial and raised over $3000 with the help of the sheepdog community for the Bluegrass organizer, Rusty Kreider, to help with the medical bills for his son Cooper. He championed the 30 day trial policy when selling dogs to ensure they are happy in their new homes. His promotion of this policy has made it is commonplace, resulting in better partnerships for the handlers and most important, better homes for the dogs. He has been an ambassador to the sport, promoting it every time he has been asked to do an interview, sign an autograph or pose for photos. He has been featured in the Wall Street Journal, Time magazine, participated in programs for Animal planet, National Geographic, Discovery, Paul Harvey News, countless local TV newscasts and most recently was featured on CBS 60 Minute Sports. He pioneered sheepdog training on the internet, Giving access to anyone with a computer or smart phone almost instant help with an ever-growing list of courses. They are a compliment to private video consults that he also pioneered and has been doing for many years. He invented a series of over 30 exercise’s with cones to simplify aspects of training so that when the lessons or clinics are over training can be practiced and achieved. He has participated on the ABCA HOF committee, national finals committee and judged our National twice even though he had dogs that were competitive. In fact, 2 of the dogs went on to win 4 National titles. 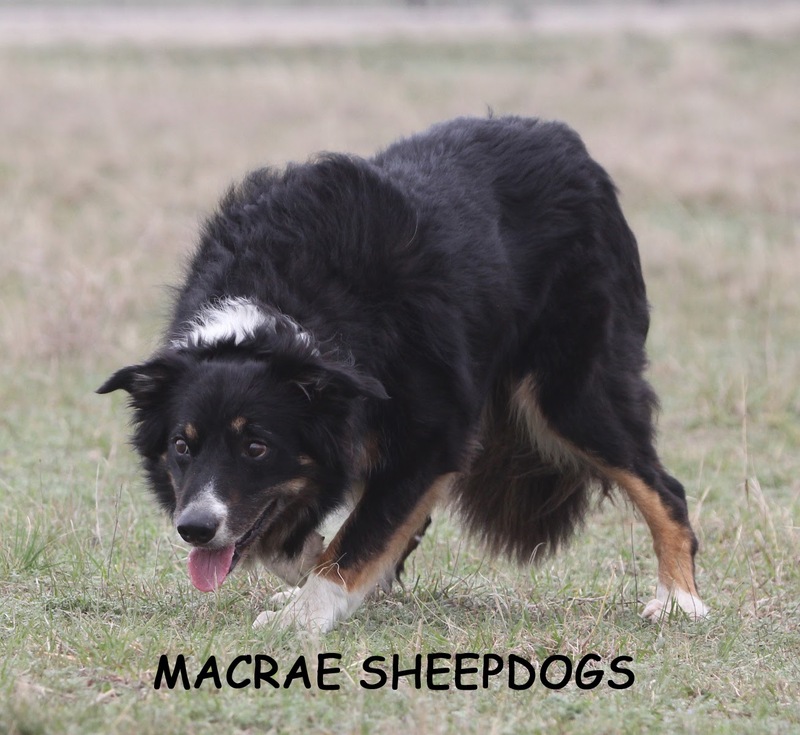 He has hosted trials, donated to local sheepdog clubs and sponsored awards. He has donated demonstrations and financially to local shelters and Border Collie rescues. 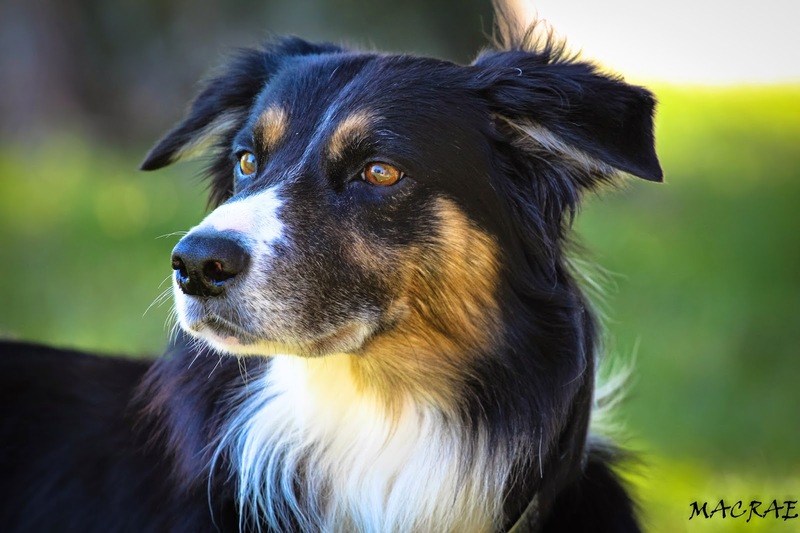 He has never shied away from doing what he believes is fundamentally in the best interest of the Border Collie and is very outspoken against the use of the electric training collar. He has loudly advocated for genetic testing and responsible breeding practices. Theses are just a few examples of his esteemed list of service. Alasdair’s breeding foundation goes back to his Scottish National Champion Auld Mirk. Auld Mirk is the grandfather of his International Supreme Champion Nan. He bred Nan to his US National Champion Ben and had a very talented litter that included 3 time National Champion Bill, Meeker and Bluegrass Champion Sweep, and Nick, the father of my National Champion, Alba Cap. Alasdair is currently running Alba Sweep, 2 time Bluegrass Champion, who is a grandson of Sweep and great grandson of Nan. My Max’s great grandfather was Nan’s litter brother and Alasdair raised and trained my Bear’s grandmother, who also went back to Auld Mirk.These are lines we still actively breed today. Alasdair’s promising Nursery dog, Tweed is also a grandson of Sweep . While Gail and Jim have just started breeding several of Nap’s progeny have done very well. In fact, in 2010 Alasdair won the nursery national with Nap’s son Coll. He has also imported good dogs for other people. 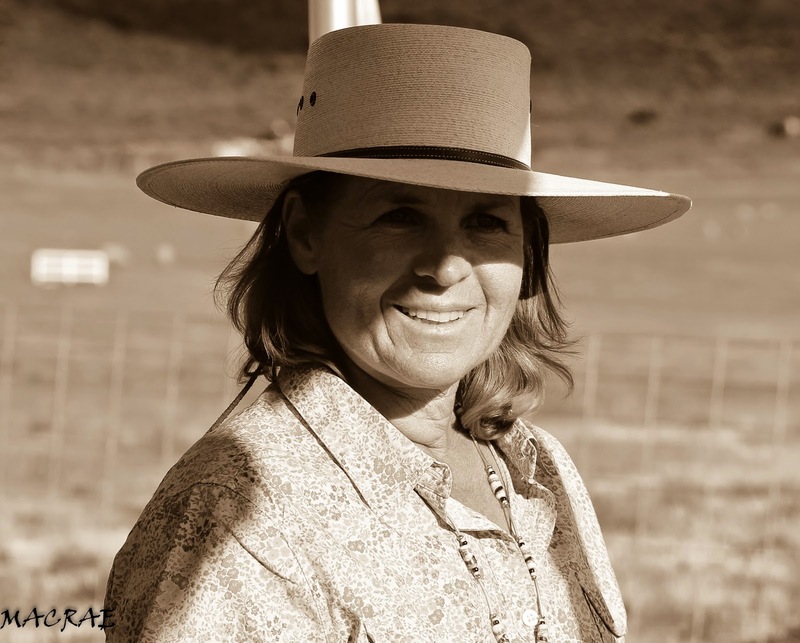 One that quickly comes to mind is the prolific breeder, Eileen Stinemans Don. 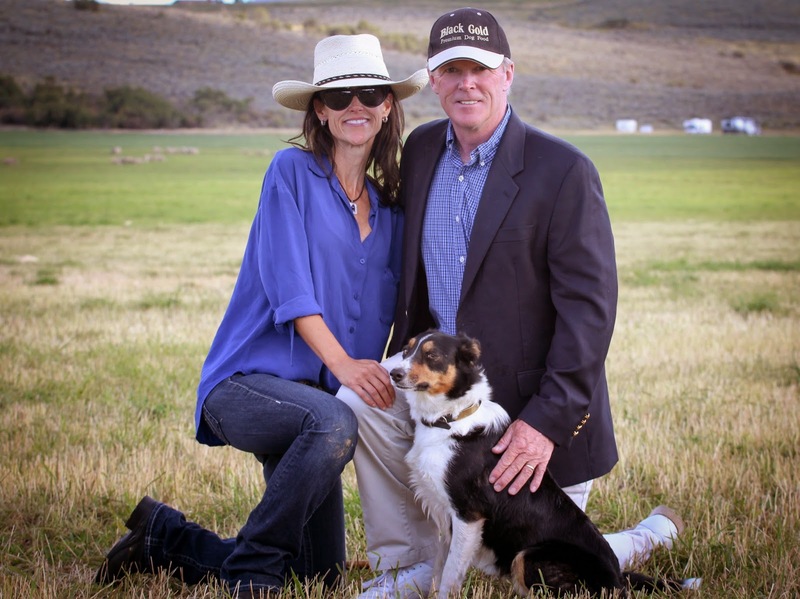 With too many successful offspring to list Don is the father of 2013 National Champion Don, and Vergil Holland’s reserve national champion Brooke. Alasdair also imported the mother of Vergil’s Brooke as well as, the mother of Beverly Lamberts Nan. These are just a few of the more recent examples of his breeding contribution. He is also highly regarded for his incredible ability to match handlers with dogs, even for his fiercest competitors. The list is extensive and far too long to cite in full. Alasdair is far and away the most accomplished handler on the continent. His brilliant career began in 1984 when he won Scottish National & Scottish National Shepherds Champion with Auld Mirk. In 1990, he was Reserve Supreme International Champion with Bute, as well as International Shepherds Champion. In 1992, he was Reserve Supreme International Champion with Corrie. In 1993, he was Supreme International Champion with Nan and 4th in the Supreme with Elwy Glen. In 1994, Nan was injured for most of the season but came back for the Supreme and captured 5th. A record of 5 placing in the top 5 in 5 years competing at the International. In 1994, he won the BBC ‘One Man And His Dog’ sheepdog trials television series with Nan. He scored 108 out of a possible 110 points and holds the record for fewest points deducted, in the history of the program, which spans over nearly 50 years. In the U.S., his list of Saturday trial wins is far too long to review. I stopped counting once I was over 60 different trial wins, and like the Bluegrass, most he has won multiple times. He won Meeker 3 out of 6 attempts. The Bluegrass Classic 11 times out of 17 attempts with 7 different dogs. He has as won the National Nursery Finals on 3 occasions. He has won the National an awe inspiring and amazing 12 times out of 17 attempts with 6 different dogs. I have been fortunate to watch many of those perfect moments. I remember a day that was filled with them when he was running Star several years ago….. The legendary handler and Supreme Champion Raymond Macpherson came over to speak to us. Raymond was a fellow highlander but had not seen Alasdair in a long time. It is my honor and privilege to introduce my mentor and best friend, Alasdair MacRae." The weather in Carbondale did not disappoint and Sunday brought clear skies and brilliant sunshine. Huge thanks to Bridget Strang, the Strang Family, volunteers, set out crews, judges, local committee, sponsors and all those that contributed to this year’s National. Putting on an event of this magnitude requires a tremendous amount of work and your efforts are greatly appreciated! The Open field required a change prior to the start of the trial and as a result the scope of the final was approximately 400+ yds for the first outrun (to the right) and 250 yards for the turn back. The drive was 200 yards, cross drive 250 yards and roughly 200 yards back to the ring.The sheep were good coming in and heavy on the drive but notably freer than the last time in Carbondale. The running was tough and several teams struggled with the fetches. I walked the fetch lines for the competitors the night before and they were angled more like two cross drives. Rather than hold the sideways pressure many dogs balanced the first lot straight to the handler. Most dogs turned back well and several made the drive gates but as of the final run, no one had yet to finish the course. A highlight of the morning was watching the best shed of the day, Michael Gallagher with Cain. The high score for much of the day was 509 (out of 680). Alasdair ran last in the afternoon and for the first time in quite a while, it felt like he was an underdog. 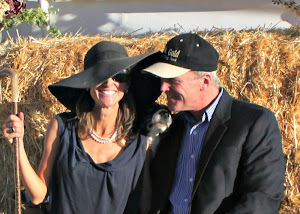 While we were confident with Cap and Sweep on the Rambouillet, we felt Gail was the least suited for the range sheep. She is a thoughtful dog with a bit of eye that these sheep often dislike. She also has a tremendous amount of heart and try—however the run went, we knew she would give it her all. The first outrun started wide but a quick pull in put her easily to the first lot. It was a beautiful fetch and perfect turnback. A few bobbles on the 2nd fetch but solidly through the gates and a little off line as the sheep ran to join the first group. She put the sheep around the drive with relative ease and plenty of time in the ring. The sheep flowed well at the shed and they quickly had the ribboned ones separated with 9+ minutes to pen. Gail efficiently drove the plain ones away and marched the collared ones to the mouth of the pen. The sheep broke but with patience and pressure, Gail got the only pen of the trial. It was an excellent run with 602 points-so proud of her! We bought Gail in 2013 from Andy Carnegie and are very grateful to him. We finished the night with lots of laughs, fantastic wine & good friends. 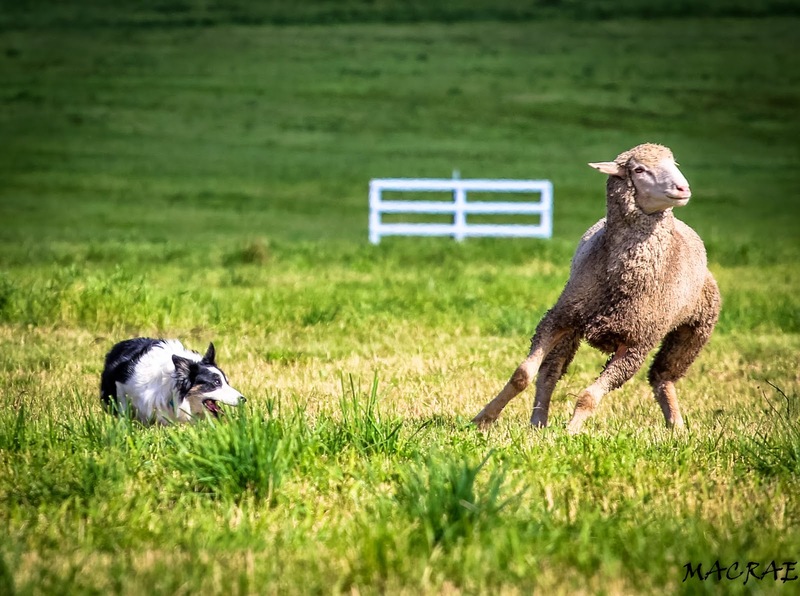 The National is more than a sheepdog competition; it is about partnership, friendships, joy, disappointment, excitement, frustration and success. It is about making memories and stories. Another gorgeous day in Carbondale. The rerun sheep were quite good around the course though a bit heavy late in the day and still a test at the pen. Congrats to all those through to the Final and to Suzy Applegate, our 2014 National Nursery Champion! Yesterday afternoon was sunny with a warm breeze and the sheep in Open improved notably-they were not as testing nor were they putting as much sideways pressure on the dogs on the fetch or drive away. We hoped that would hold for today but alas, not to be…. Tierney Graham had a solid run this morning in the 140’s and just about 10:00, the sheep went off-running sideways or hell bent from the top. A few taking off to bolt over fences, neither provoked nor chased! Terry Parrish,Terri Warner, Bruce Fogt and Joe Haynes were just a few to draw very difficult groups. The tough packets were hit or miss & there were still some very good runs including Michael Gallagher with Cain. Amanda and Angie Coker also had scores high enough to go through to the next round. Alasdair had a great start with Sweepy until a standoff which resulted in an unfortunate DQ. I drew a very high headed ewe in a packet that sealed our fate before we began. We had no chance; They were so determined Cap had to be in front of them at times-the only way to stop a sheep running full out towards a destination. He held the sheep well on the turn and drive away but after making the drive gate, they took off again. While he convinced the sheep back on line, we had forgone too many points. He shed easily but no way could we pen them. The run was dreadful but Cap was excellent! He worked his heart out. It was a great effort & very proud of him. Many of you know about the health issues Cap had this year. He is healthy and we are so grateful-his first trip to the trial field in over 7 months. While today did not go as we’d hoped, could not be happier to have my partner back!! The morning began brisk & sunny and the sheep’s coats were dark and wet from the overnight rain. Noelle Williams had a solid run to start the day in the 140’s running just prior to Jim & I.
Jim had a very good gather and solid drive away. At the drive gate rather than take my whistle, he became independent and brought the sheep back through the gate. His single minded thinking ensued and rather than fight I retired as we were not working as a team. The sheep were a challenge early on and the resulting scores were low but became better as the day continued. Stand out runs include Joe Heather Lynne Haynes, Christine Jobe and especially Alasdair w Gail, with the high score of the trial so far on a 161. Derek Fisher ran 10 year old Jen at the end of the day and she gave her heart with a difficult group & the best shed of the trial we’ve seen so far! Especially hope these two get through to the next round. Today’s clear skies highlighted the beautiful vistas and the sprinkling of snow on the mountain tops make the scenery even more spectacular! The course is 13 minutes-400 yd. outrun, left hand drive, shed any two, pen. Prevailing weather was cool and wet with bits of sunshine as well as significant downpours. The range sheep are cross ramboulliet, even & fit with nearly every group challenging the dog at some point during the run. 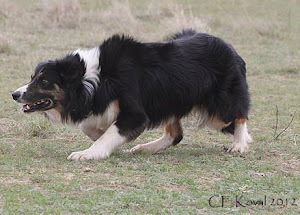 The field lends itself to a left hand outrun and generally the sheep apply sideways pressure on the top half of the fetch. The yearlings are leaning on the dogs in the main and are difficult at the pen. Most every handler is having a heart stopping moment! We have a new ON-LINE training course, MacRae Way: The Outrun, available now. 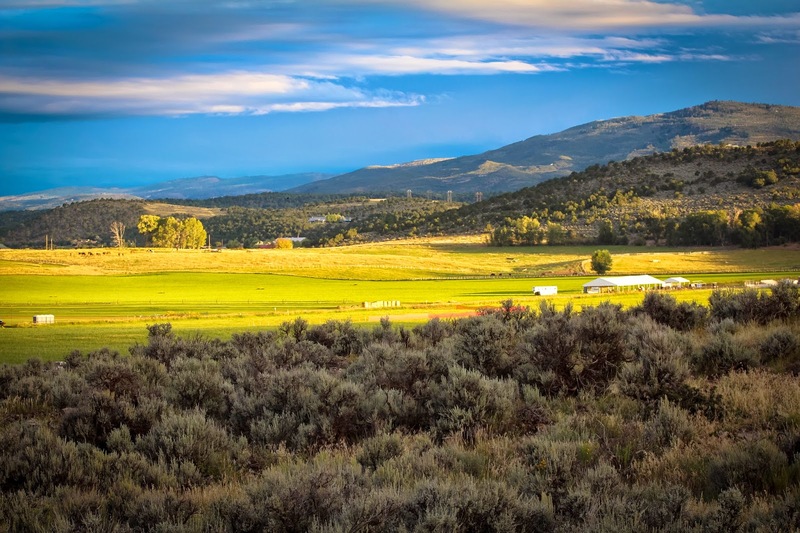 The Outrun module provides effective tools and exercises for encouraging the Outrun, extending the Outrun and instruction expressly intended for the expert trainer looking to widen an outrun. Through 90 minutes of video footage this course explores how to encourage development for a more natural outrunning dog and provides tools for dogs that need training to achieve an outrun. We contrast both types, detailing the progression with 5 dogs. We also address how and when to introduce a spotter in preparation for a young dogs first sheepdog trial. We believe dogs should be committed to going to balance point and outrunning before driving in earnest and sequentially, ‘The Outrun’ module follows ‘Starting Young Dogs’. ‘Starting Young Dogs’ our is flagship offering and details our systematic training method with an emphasis on balance point. Because our foundation training makes complex training like sorting the outrun & teaching bends/turnbacks intuitive for the dogs, we reference our training system in ‘The Outrun’ and future courses. However, all courses are valuable independent of one another. The Outrun is available for $99 with 4 weeks of access. We have created the attached audio and text to address your questions. Thank you for listening & enjoy the journey. While this series obviously addresses a young dogs start on sheep it holds a greater value as well. Our objective is to not only provide key information to enable a handler to train a young dog with a solid foundation but also provide accomplished handlers with an understanding of the philosophy of our training system. Not just at 3 and 4 years old but at 9, 10 & sometimes older. For those of you unfamiliar with our open dogs you can view them on film from various years on the final day at the US National. You’ll note these characteristics with Nan, Ben, Bill, Star, Bear, Max, Cap and Sweep. Successfully teaching these complex components is possible through our training system, which we have used effectively for a combined 40 years. While many of the 17 dogs that appear in the 20+ hours of total footage are client dogs, dogs we have recently run and are currently competing with are also featured. I start Nell in this course, and later introduce turnbacks and bends with Jim and Sweep, shedding and precision work with Cap and Max and we have lots of content on training dogs with ‘eye’ with Nap & Max. Alba Lyn X Don, McClure’s Lil X Applegate’s’ Buzz, Star X Alba Cap, Ford’s Cap X Ford’s Maddy. The course is delivered via live stream video and viewable 24/7 for the duration of the subscription. In addition to viewing on your computer our product does support HTML 5 playback on mobile operating systems such as iOS (iPhone, iPad, iPod Touch), Android, and Windows Phone. It is not available as DVD or as a download. We are extending our introductory offer through March 29 with pricing at $199 available for 8 weeks. This production would not have been possible without the collaboration of Kristi Oikawa and advocacy of Eileen Stineman. We are grateful for their contribution and thankful for the tremendous support from the sheepdog community on this project. Thanks for listening. Enjoy the journey. 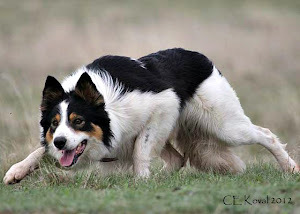 For those that train young dogs or those interested in our methodology, we have a new on-line sheepdog training course! We have a fundamental belief that how you start your young dog and early training can have a profound impact on your dog achieving his/her full potential. Our objective in the The MacRae Way: Starting Young Dogs module is to provide enough information to enable a handler to start a young dog as well as an understanding of the foundation & philosophy of our training system; which sets the stage for all of our more complex training. This course is aimed at those actively starting a young dog, those preparing to start a dog as well as handlers interested in understanding our system, which we have used successfully for a combined 40 years. Just as we learn from others to improve aspects of our approach we feel there are many valuable pieces of our method that can be integrated into other training systems. This first module is our most comprehensive and sets the stage for upcoming releases. 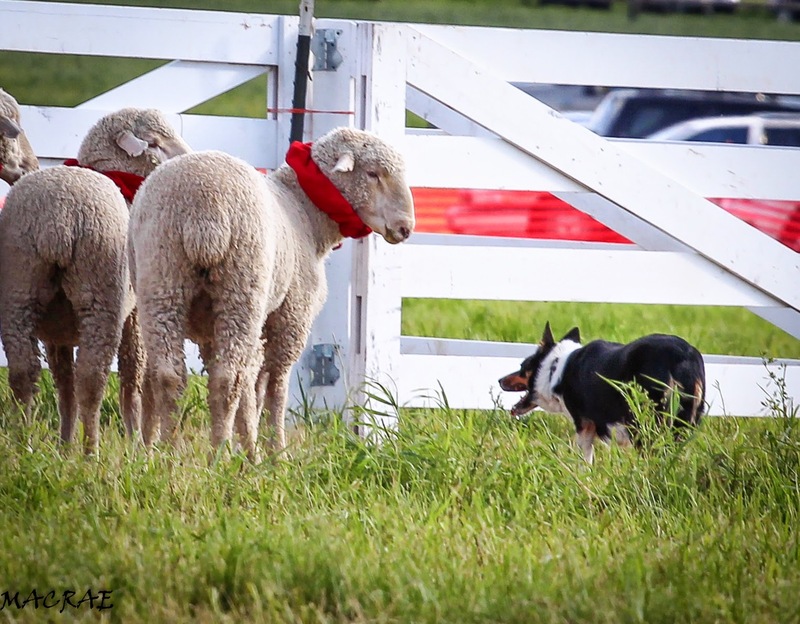 Our philosophy, emphasizing balance point, begins with our dogs first exposure to sheep. We are far more concerned with helping our dogs become all that she or he can be in the long term rather than a dog that peaks young. This begins with the foundation and our system is important to realizing a dogs full potential particularly when training on dog-broke the sheep. Additionally what we train in the round pen establishes a system that we are able to utilize in training such as outruns, blind turn backs, bends and strong shedding skills. This will be elaborated on in future respective courses. In the first course we show 4 HR of video footage with 6 different dogs at various stages. We include quantifiable exercises you can replicate at home. The course is delivered via live stream video and viewable 24/7 for the duration of the subscription. It is not available as DVD or as a download. Our introductory offer makes this course available for 8 weeks and should you like to repurchase this course at a later date there will be a discount identified by your single sign-on. In producing our own training courses we strive to bring you a much more complete offering with courses broken down by each aspect of training and available in a 'shopping cart' format. Future modules include instruction on: Flanks, Outrun, Drive, Shed, Bends, Turnbacks and more. I hope to also have Alasdair do armchair conversations on theory and stories of legendary dogs and handlers. Our Promotional Video can be viewed, HERE as well.